Villa Kalyvia is one of the luxury villas in a residence located near the adorable village of Sivota and its amazing and protected Bay. Nested on a hill surrounding Sivota Bay, this property offers you a space with an endless view on the Ionian blue sea and surrounding islands. Just a perfect place to find peace and rest during your holiday! The villa is composed of 3 bedrooms with double beds on 3 floors, a living room, 3 bathrooms and an open kitchen attached to the living room. There is as well a balcony to enjoy the view during breakfast and a large infinity pool with a pergola, a BBQ and a shower in the outside area. The entrance door opens directly into the kitchen and its living room with the view on the Ionian islands. On the left side, a fully-equipped kitchen will welcome 6 people comfortably. Next to the entrance there is a bathroom and a staircase to the ground floor and to the 2nd floor. The second floor is composed of a bathroom and a double bedroom with a private terrace. From this floor and its terrace you have a prefect view on the Ionian islands surrounding Sivota Bay. Of course, the bedroom has air conditioning. Ground floor had 2 bedrooms with double beds; a bathroom and a small room with a washing machine and cleaning materials. A storage room completes this level. The internet is working on a system of 3-4Gb Wi-Ffi device. There is no land line in all the area where the villa is located. We will provide you a prepaid card of 5 Gb valid for 7 days. This is perfect to check emails or social media pages but not fast enough for downloading movies, music or streaming. Villa Kalyvia is located just 1,5km from the village of Sivota. Sivota was originally a home of traditional Greek fishermen families who today are offering different range of services such as fine taverns, bars, bakeries or markets that are available all season long from 8am until 12am. You can walk to the village (15-20 min) or go by car (5-8 min). Loved it! I must come again! Excellent accommodations, nothing overlooked! Beautiful view, beautiful pool, sparkling clean. A welcome basket upon arrival! 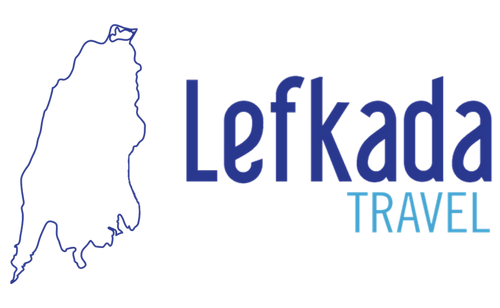 But the best was Eleni and Jerome at Lefkada Travel. They were fantastic! Will definitely visit again! Bella villa, super accessoriata, piscina privata con vista meravigliosa sulla baia. Staff gentile e disponibile. Veramente ottima vacanza. Excellent Villa. Beautiful views. Lovely Island. Stayed for ten days but disappointed that we had the same towels for the whole stay. Everything was perfect, the villa is fully equipped, the pool and the view are amazing. The villa was absolutely fantastic! Both indoors and outside the living space was excellent. Everything was clean, well maintained and equipped with everything we'd need to make our stay comfortable. And what a view. I never tired of looking out across the infinity pool out across the sea towards Ithaca. Excellent! From beginning to end, our 10-day stay at Villa Kalyvia overlooking the bay of Syvota was perfect. Anna was so helpful and patient when we booked this villa (and the rest of our group booked neighboring Villa Eleona). She answered my many questions and provided helpful tips on getting to various places even well beyond Lefkada. Jerome, the property manager on site, was a delight. He provided great information and was always available to answer questions and address our special needs--from ordering and personally delivering delicious birthday cakes to organizing an all day boating experience for our 14-member group. The villa was more than we could have expected. It was appointed with everything we needed. The pool is huge and the the views are breathtaking. The rooms were large, comfortable and the space was well thought out. The 3 full bathrooms were much appreciated. We still can't believe what a tremendous value staying at Villa Kalyvia and Villa Eleona is. The proximity to breathtaking beaches and surrounding villages, the views from the villas themselves, the comfort and style of the villas, and the welcoming and helpful staff all made our vacation one we will never forget. Thank you, Jerome and Anna! Villa is absolutely perfect: clean, brand new and with all ammenities! I would strongly suggest to experience it! Only down fall is the 1,3 km dirt road to the villa which is no issue if you rent a car or drive an SUV. Villa Corona was absolutely astonishing, it made our stay in Lefkada unforgettable! First, the host- Jerome, is so friendly and easy going! He was very helpful and pointed us out the main attractions on the island. The villa itself was not only cozy, spacious, and practical, but also had an amazing pool and a breathtaking view! Pure heaven! Our stay in Lefkada could not have been any better than it was! Thank you so much! Best Villa EVER! Nice guys from Ukraina!